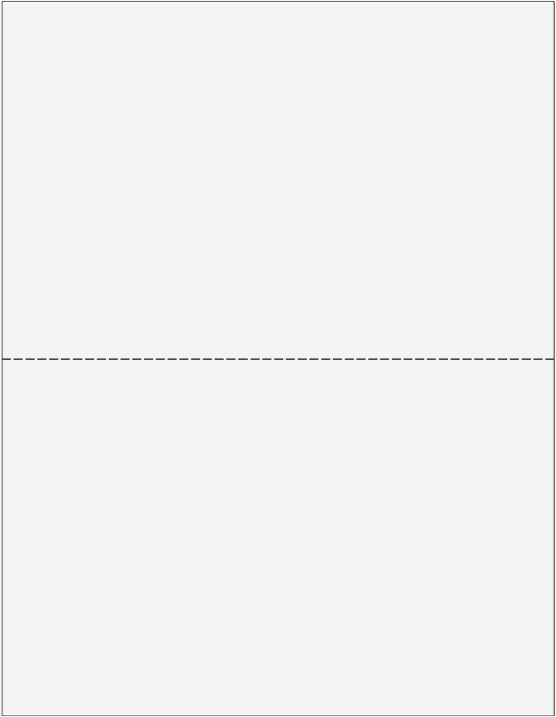 Official W2 forms, blank paper and envelopes for 2018. Easily print and mail W2 forms with the right formats and options. Shop easy, ship fast! Low minimum quantities and low prices every day. Convenient sets of forms & envelopes. Easy W2 printing with your software. 100% Compatible and more affordable! Official Red Copy A forms and more. W2 Efiling Eliminates the forms! 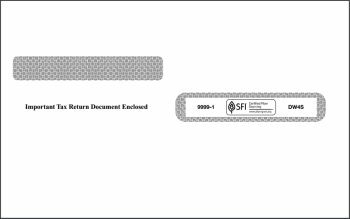 Print the entire W-2 form on blank perforated paper, including the boxes and the data. 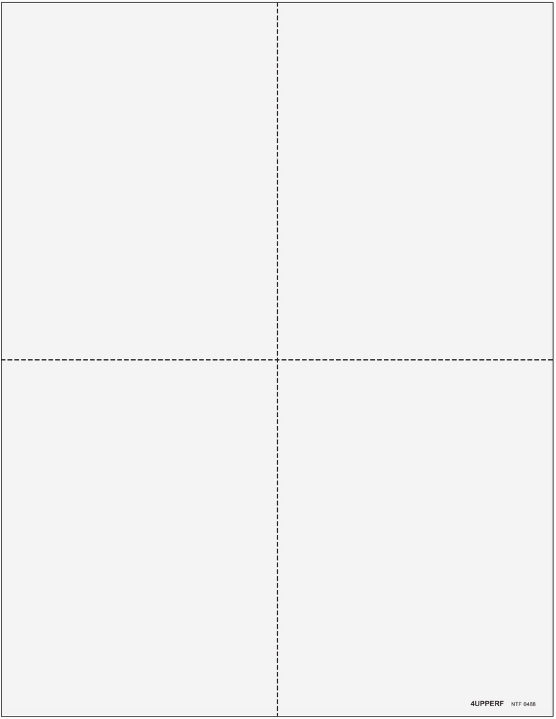 Check with your software system to see if you can print on blank paper. 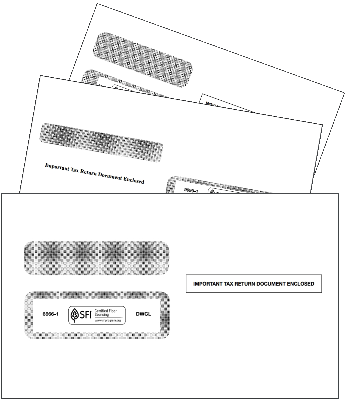 Perforated forms are available in 2up, 3up and 4up formats (see below for details), with or without employee instructions preprinted on the back. You are required to provide instructions, so these forms make it easy! 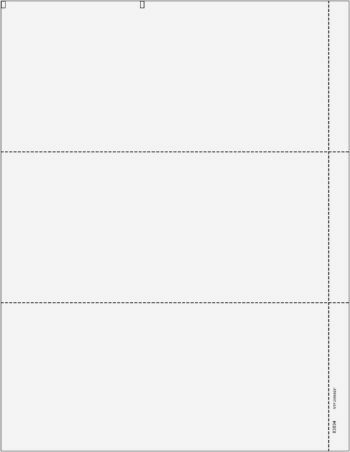 Use with compatible envelopes that match the layout of the addresses and form. Convenient sets of forms and matching envelopes that make ordering super easy! Available with blank or preprinted forms. You just need to know how many parts you need, and how many employees you have. 100% Compatible with QuickBooks, and always less expensive than buying from Intuit®, plus they ship faster. Let our small business help yours make the most from QuickBooks! 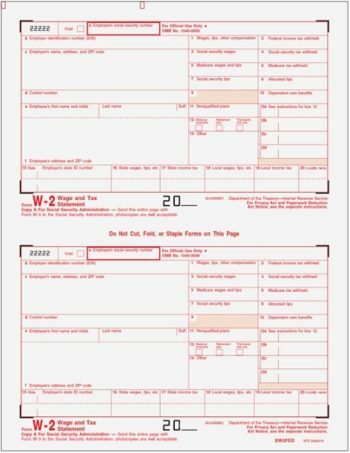 Red scannable W-2 Copy A forms and other preprinted W2 forms can be used with most software systems. Simply verify compatibility before ordering by requesting a sample. The boxes and labels are all preprinted in the official format, your software fills in the data. 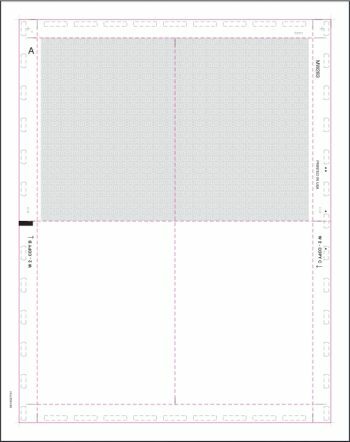 Many layouts are available with different copies to suit your filing requirements. 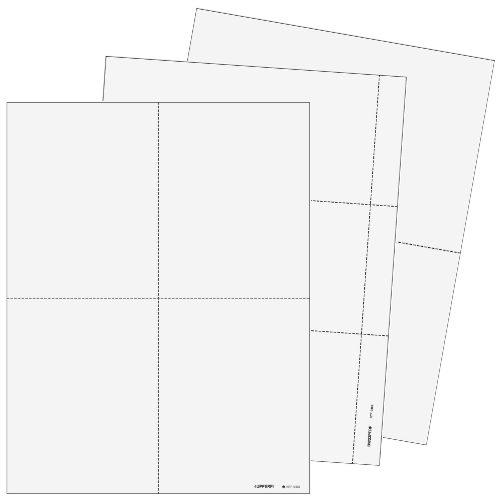 2 forms per sheet, all blank paper can include employee instructions on the back. Use them for Official W2 forms (2 of the same copies) or condensed 2up employee Copies B/C for federal filing. 3 forms on a sheet, typically with a vertical size strip to remove before mailing. 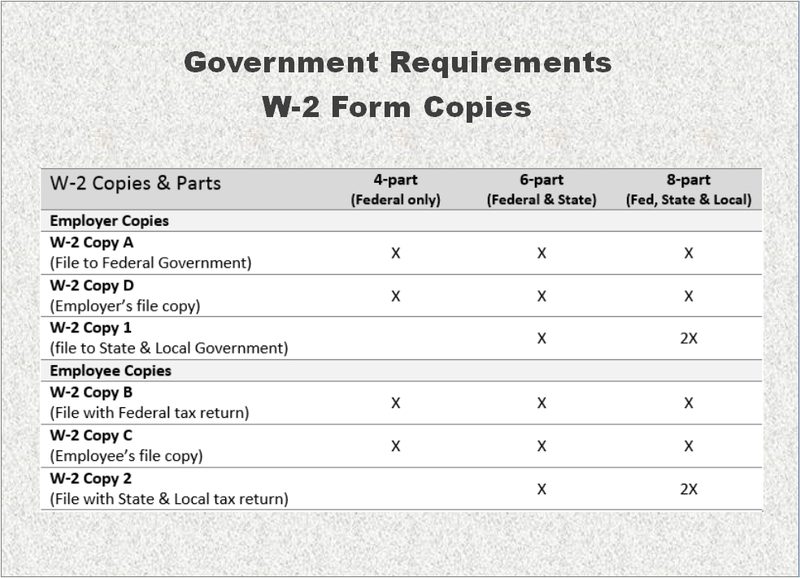 Use for condensed 3up W2 forms for employees, Copies B/C/2 for federal and state filing. 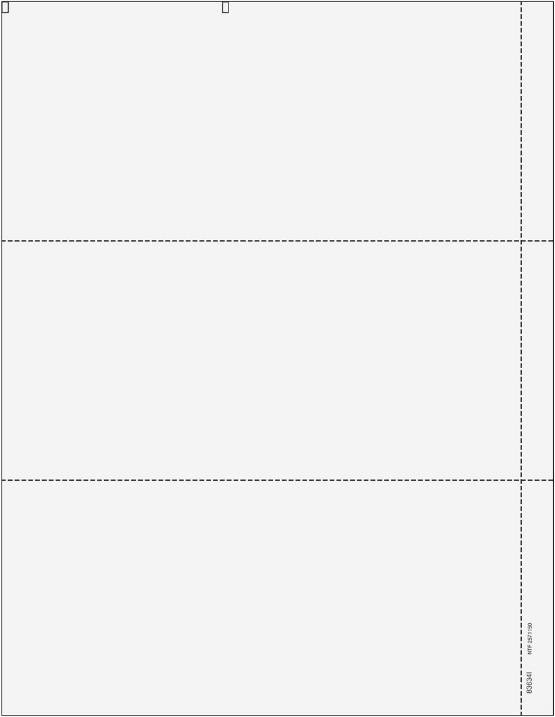 4 forms on a single sheet, perforated into quadrants or horizontal sections depending on your software. 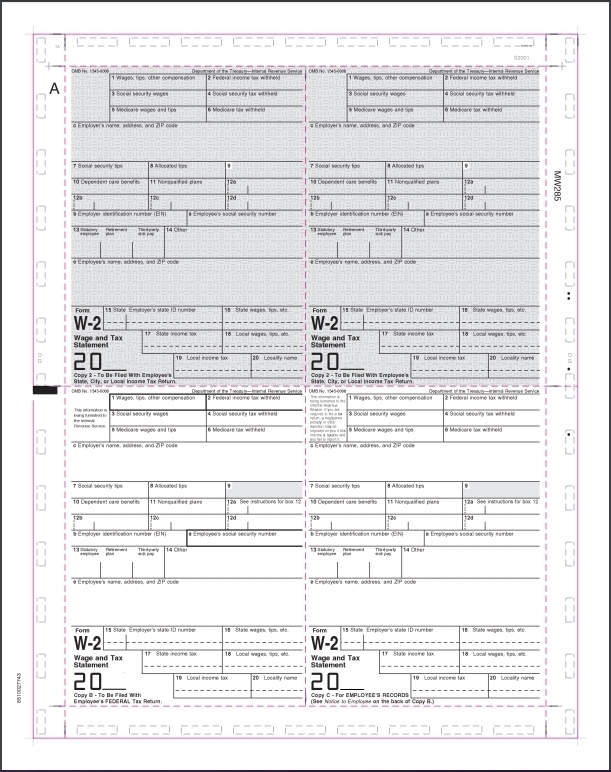 Use for 8pt W2 printing of employee Copies B/C/2/2 for federal, state and local filing. Be sure your envelope windows match! 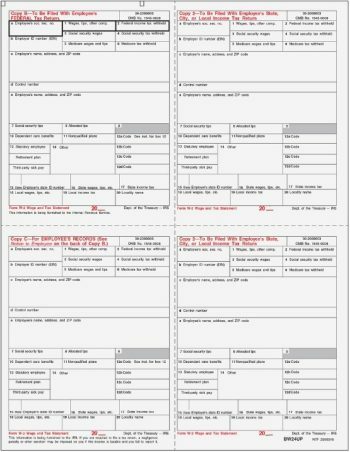 W3 Transmittal forms must be mailed with Red Copy A forms. We include a couple FREE W3 forms with each W2 order. Online filing is an option! DiscountEfile.com lets you enter or import data, and then takes care of the rest. 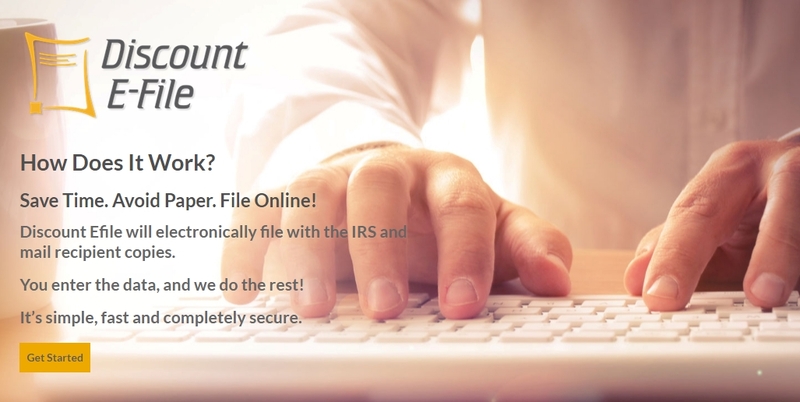 Your forms are e-filed with the IRS/SSA and mailed to employees automatically. With a few clicks, you're done! Learn more. 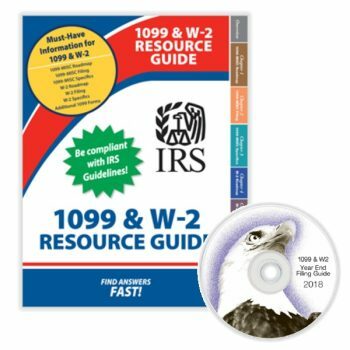 A list of official 1099 and W2 due dates for e-filing or mailing paper copies to recipients and the IRS or SSA for 2017. 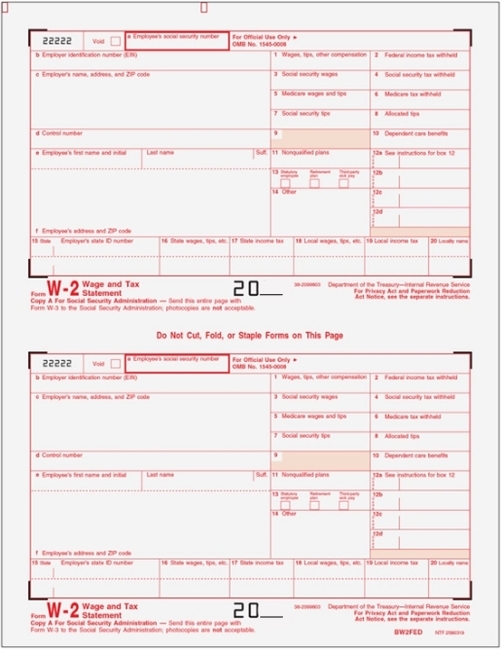 There are various ‘Copies’, or parts, of a W-2 form, each with a different name. Although they will have the same information about the employer and employee, earnings and withholdings, each copy is given to a different entity. This ensures correct reporting during the income tax filing process. 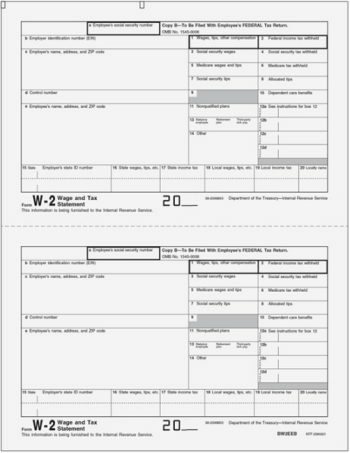 W-2 Forms are filled out by the employer and provided to the employee or a government agency. Simply stated, it’s not efficient. They only have 1 style of form, the Traditional 2up W-2, for employee copies. This is the SLOWEST way to print W-2 forms.